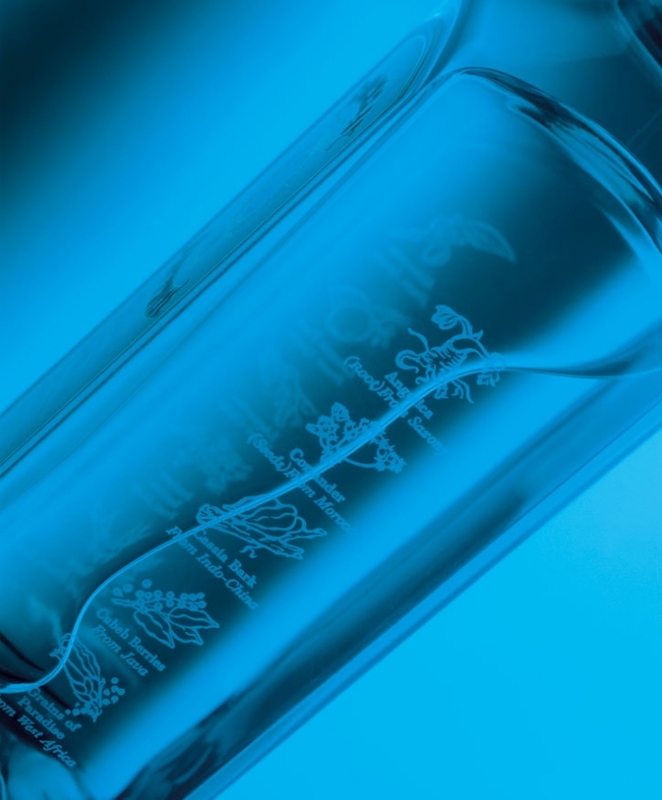 Bombay Sapphire, the inspiring alcoholic drink which is associated the most with design due to its design partnerships. Bombay Sapphire’s Collection // “Inspired by Bombay Sapphire” includes works in the past 20 years which vary from martini glasses to tiles and cloth patterns while it has currently extended to product design. From the success of this campaign, the company started a series of events and sponsored locations. The best known is the Bombay Sapphire Designer Glass Competition, held each year, which endorses design students from all over the world to participate by designing their own “inspired” martini cocktail glass. 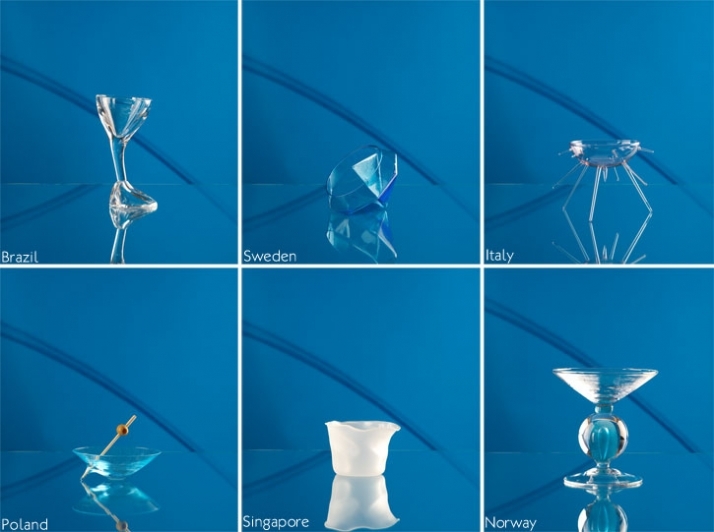 From 2008 and onwards the Bombay Sapphire Designer Glass Competition final has been held at 100% Design in London, UK and the Bombay Sapphire Prize takes place in Milan at the annual Salone Del Mobile Exhibition. The past week, and specifically on the 23rd of September, the 2009 Bombay Sapphire Design Finalist was announced at 100% Design in London. Among numerous submissions this year’s winner is German designer, Bruno Everling who was awarded with a £5,000 prize as he is the winner of the eighth annual Bombay Sapphire Designer Glass Competition. Bruno Everling is currently a student at the Schwäbisch Gmünd School of Design majoring in product design. His glass design is entitled “Liquid Sapphire,” he claims that he was inspired by the timeless elegance, and the fusion of tradition and modernity of Bombay Sapphire. The design of the winning glass “Liquid Sapphire” is undoubtedly an exquisitely designed martini glass which refers design-wise a lot to the Sapphire gem stone. The cuts and the angles which are found within a Sapphire gem stone are also clearly visible on Everling’s design. Clear, beautiful and sophisticated lines compose the award winning martini glass. Judges described the winning design as: “a very beautiful, sophisticated glass” with “the potential to be a design classic”. 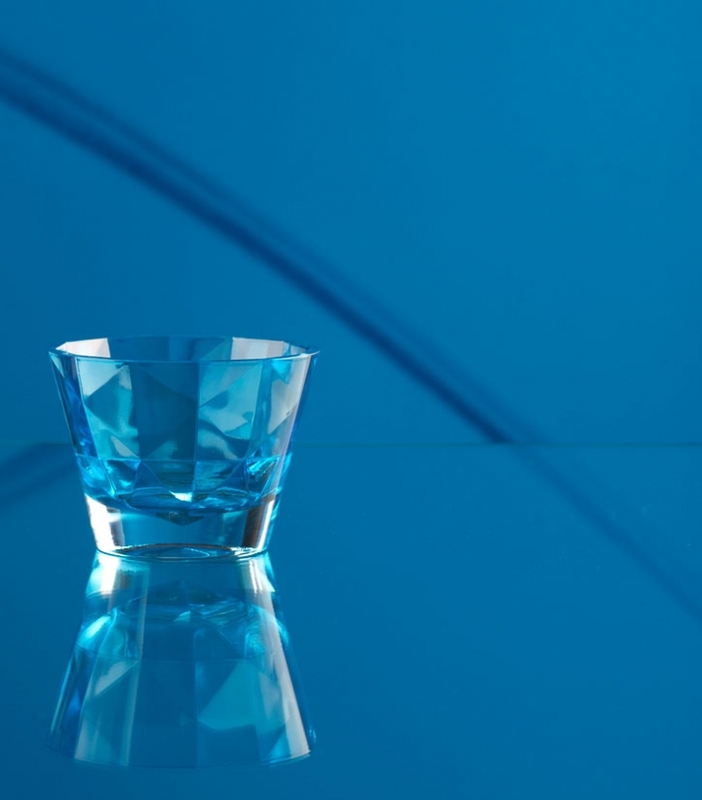 At first sight, the glass has a simple, beautifully faceted design but hidden from view, inside the stunning exterior is the classic conical shape of the martini cocktail glass. 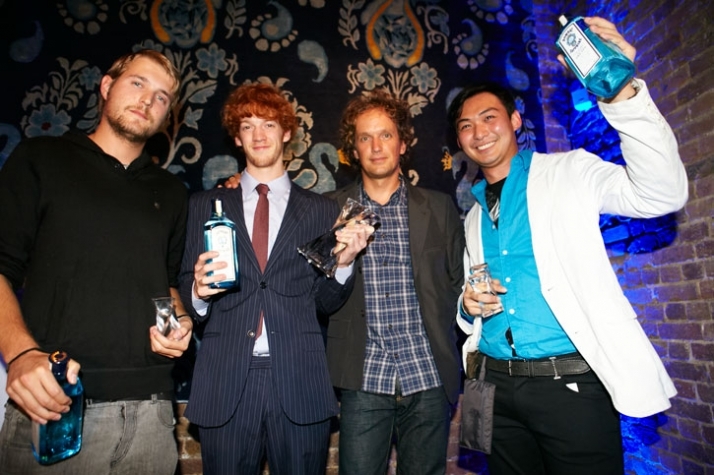 World renowned designer, Yves Béhar, presented the first prize at an awards ceremony held at the spiritual home of Bombay Sapphire, the Bombay Sapphire Blue Room in Bankside, London, where the finalists’ martini cocktail glasses were held on display until Saturday, 26th September. Guests at the awards event included international designers and the finalists who had travelled to London from around the world. Along with Yves Béhar, the judging panel included: Wallpaper* editor-at-large, Suzanne Trocmé; glass designer, Simon Moore; designer, Moritz Waldemeyer; Jeremy Langmead, editor, Esquire (UK); and cocktail expert and global ambassador for Bombay Sapphire, Merlin Griffiths. Nathan Studer of Switzerland was awarded the second prize award of £3,000 for his design “Close Glass” which was described by the judges as an “adventure… intriguing and creative”. While the winner of the third prize of £2,000 was Ekarin Khunapinya of Thailand, who was also this year’s People’s Prize award winner receiving nearly 3,000 votes online from design enthusiasts around the world. Each of the winners also received a Baccarat crystal trophy. The global finalists in London represented Brazil, Germany, Italy, Norway, Poland, Singapore, Sweden, Switzerland and Thailand. Bombay Sapphire has been established in the design world however, their first step was through a series of advertisements featuring work from currently popular designers. 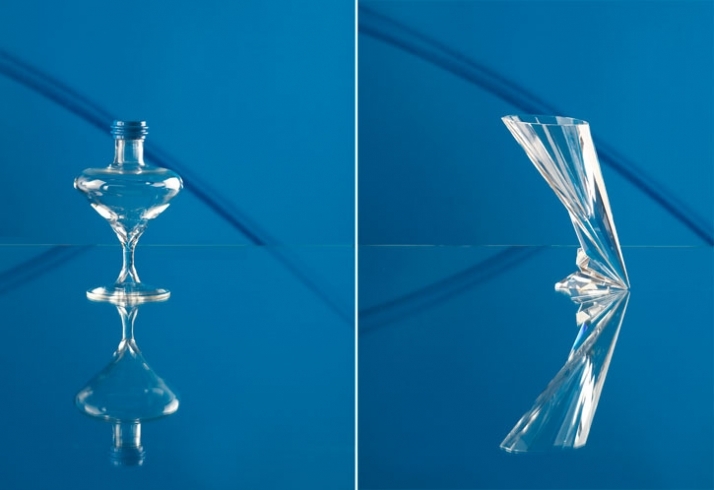 The Bombay Sapphire inspired martini cocktail glasses campaign has featured contemporary designers like Marcel Wanders, Yves Béhar, Karim Rashid, Eva Zeisel and Dror Benshetrit. The collection has now extended into product design and includes lighting by Tord Boontje, a chair by Patricia Urquiola and a credenza by Jun Aoki. 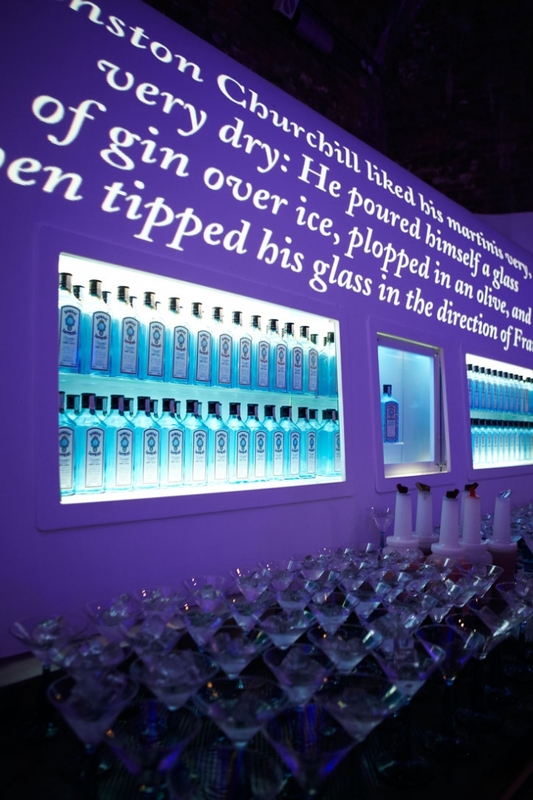 Bombay Sapphire inspired installations include Voyage, a 4.5m Swarovski chandelier by Yves Béhar and in London, the Bombay Sapphire Dusk Bar by Tom Dixon. For the past 20 years ever since its launching in 1987 Bombay Sapphire has established and maintained a highly successful relationship with the world of design, a natural alliance for a brand with its distinguished and design-forward bottle. Most recently, the brand set sail for a global roll out of its highly successful U.S. campaign to promote the Bombay Sapphire Collins // a modern twist on the classic cocktail featuring fresh lemons and sugar. 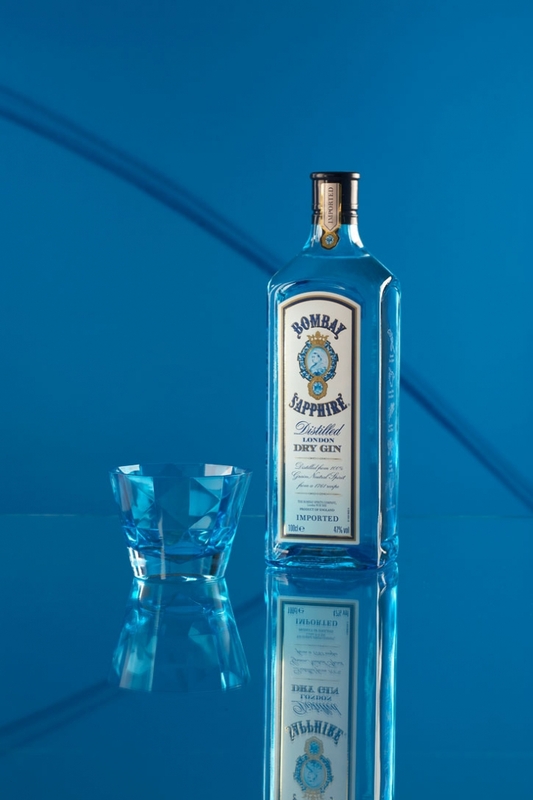 Bombay Sapphires distinctive flavor, exceptional mixing ability and striking packaging set it apart. While the eye-catching bottle design successfully engages consumers, it’s the quality and taste of the spirit in the bottle, which keeps consumers coming back, while it has redefined what discerning consumers expect from a gin, claims Andrew Carter global gin category director for Bacardi Global Brands Ltd.
Yatzer would like to congratulate all the contestants whether they were the winners of this competition or not because *design is to share. * Many times wonderful ideas and excellent designs are kept in our heads until we capture the moment and design them. Undoubtedly, Bruno Everling captured that inspirational moment of designing a Bombay Sapphire martini glass where the concept of his design was the gem stone in the martini glass design. Above all we would like to congratulate Bombay Sapphire (and Bacardi Global Brands Ltd.) who has created an alcohol brand which can be associated with design and creativity.